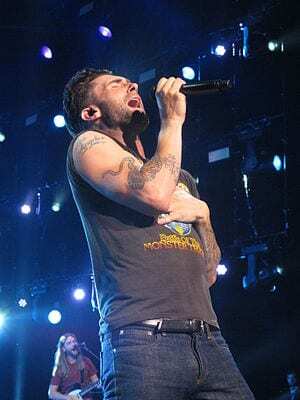 What clinical sign is singer Adam Levine of Maroon 5 showing in this picture? Not named after Adam Levine, but Dr Samuel Albert Levine (1891-1966) who was a Polish-American Cardiologist. 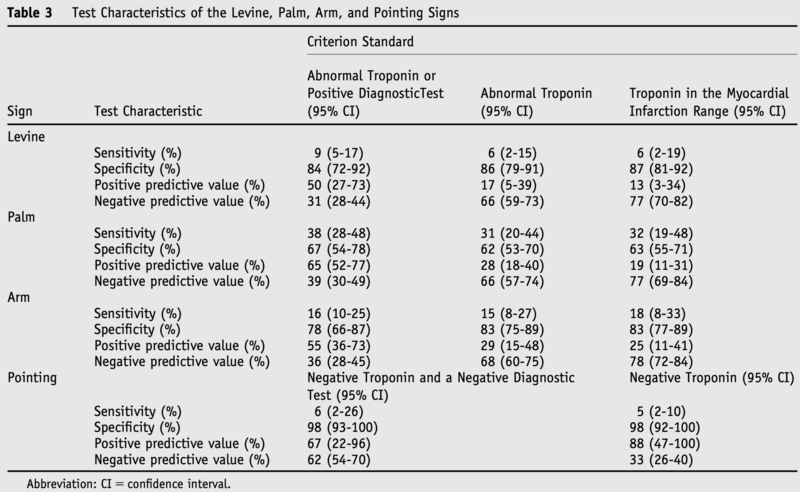 Dr Levine taught that a ‘clenching the fist over the chest whilst describing pain’ increased the potential that the pain was ischaemic in nature (84% sensitive but 9% specific for ischaemic heart disease – Table 3). Earlier in 1934, the Argentinian cardiologist Pedro Cossio (1900-1986) described the ‘Palm sign’ – extended palm placed against the sternum – to define ischaemic chest pain (67% sensitive; 38% specific). This is referred to as the Cossio-Levine Sign. 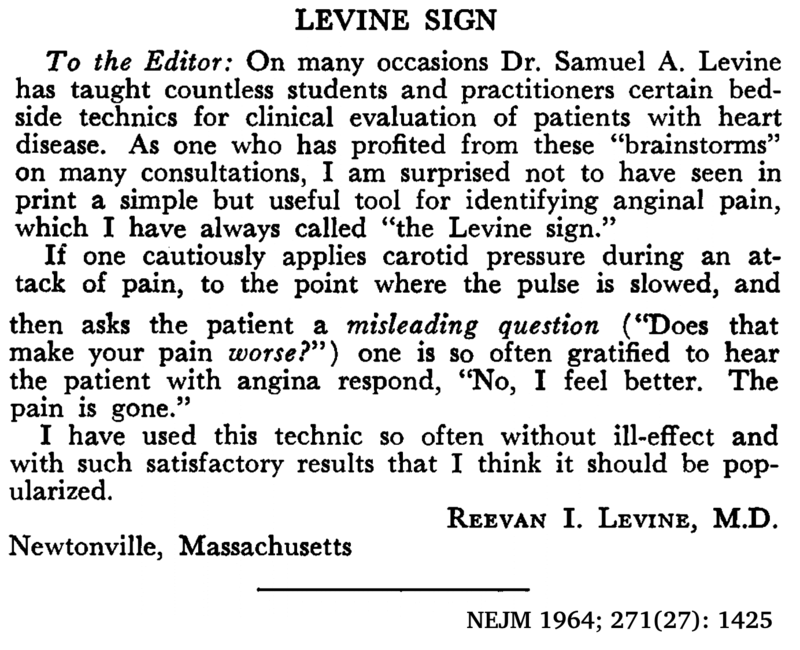 Other eponyms bestowed upon Levine include the Levine scale for heart murmurs (1933) – a 6 point grading system to define the intensity of the murmur and Lown-Ganong-Levine syndrome (1952) – pre-excitation syndrome with a short PR interval, normal QRS and paroxysms of tachycardia. A teenage male comes to the department complaining of intermittent red urine. He denies any current or prior illness, pain or taking any drugs. The only change in his life has been a new hobby of Conga drumming. What is the diagnosis? March Haemoglobinuria – a form of paroxysmal haemolysis leading to haemoglobinaemia secondary to exercise. The resulting free haemoglobin is then excreted in the urine forming a red hue. March Haemogloburia was first described in 1881 after cases of soldiers having intermittent haemoglobinura after training. It is largely believed that the haemolysis occurs due to the impact of marching or running as the red blood cells pass through the capillary beds in the feet. However, it has also been reported in drummers and rowers, this last group somewhat disproves the hypothesis that impact is the sole mechanism for the lysis of red blood cells. The changes in the immune system that occur with age – mainly progressive deterioration. 150 years ago we only needed a highly functioning immune system for about 40 years, however, the advances in public heath, nutrition and medical sciences mean that by 2031, 25% of the population in most 1st world countries will be over the age of 65 and life expectancies averaging 80 years. 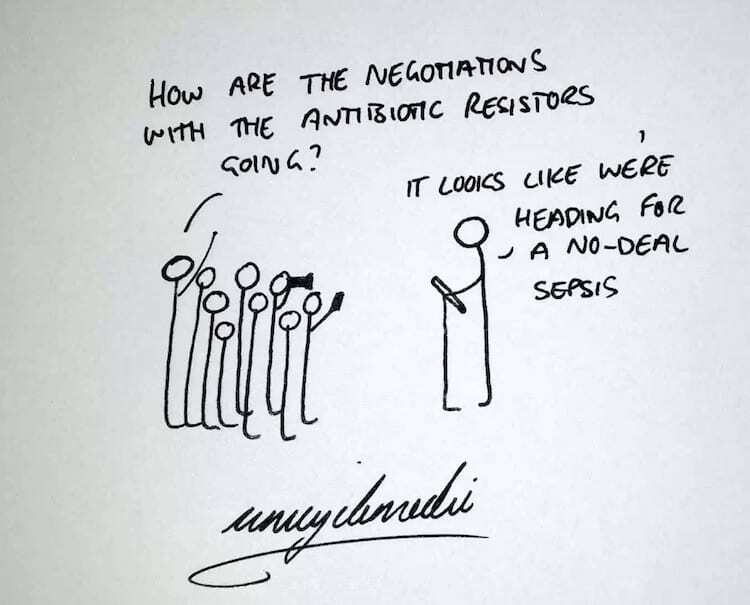 It is therefore unsurprising that an ageing immune system is more susceptible to infection, cancer and maladapted to vaccinations as we get older. Haematopoietic stem cells which provide a lifelong supply of leukocyte progenitors diminish in their self renewal capacity secondary to oxidate damage to DNA. Decline in the number of phagocytes with age along with intrinsic bactericidal activity. The cytotoxicity of Natural Killer cell and the antigen-presenting function of dendritic cells is known to diminish with old age. A decline in humoral immunity caused by a reduction in the population of antibody producing B-cells. 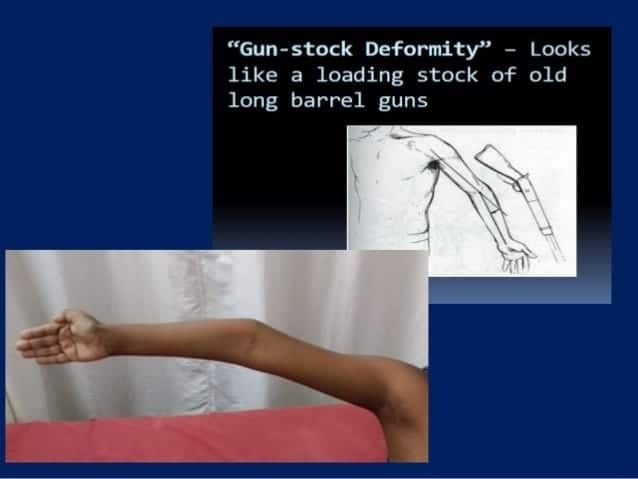 Who gets a Gunstock deformity? Your paediatric patient post supracondylar fracture if you don’t realign their medial deformity. It occurs in up to 30% of cases. 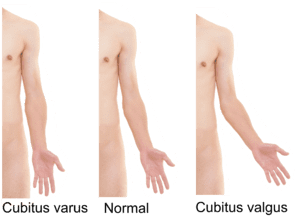 A gunstock deformity also known as a cubits varus is caused by a fracture varus malunion resulting in a change in the carrying angle towards the midline. Said to look similar to the old loading stock of long barrel guns. 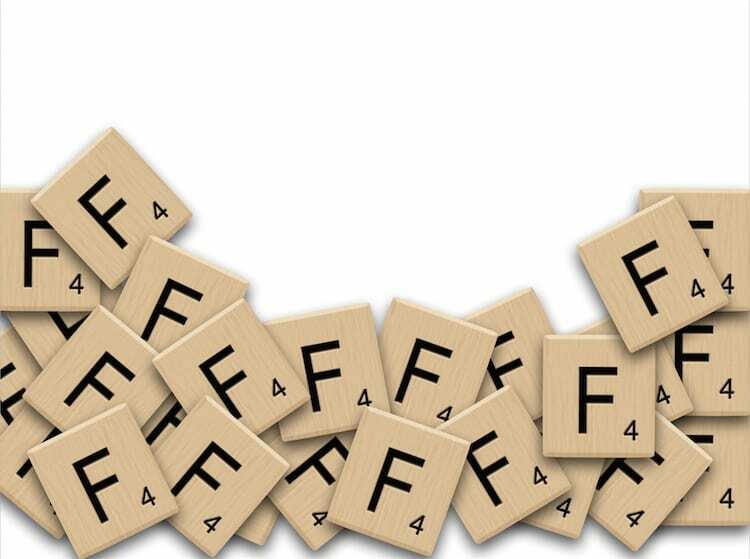 How do you prevent this? Check Baumann angle, it should be between 70-75% or the same as the contralateral side. Baumann E. Contributions to the knowledge of fractures about the elbow joint. Beiträge zur klinischen Chirurgie 1929; 146: 1–50. What has happened to this patient’s iris and what is the condition called? 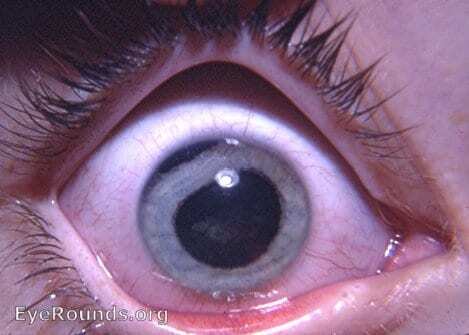 Part of the iris has been torn from its ciliary body attachment making it appear as though the patient has two pupils.